On my weekly (Thursdays) #SmallBizTalk Show, many questions was asked and among all, i did noticed some common ones and i think its better i treat them on this platform for others who have the mind of starting a business of their own can get answers to the same questions. Starting a business is never an easy job, you have to put in your best with hard work and determination to make it work. Business is not something you start today and expect it to spill out millions into your account. You don't rush into starting a business simply because you've seen that your friend is riding a big car and you feel you can start same business like he does. Starting a business of your own should be built on a solid passion which must be burning straight from your heart. You must love what you want to do with all your heart and not because of money, if you do it perfectly without focusing on money....your work will attract money to you. Don't ever go into any business with the motives of making fast money. If you do, your business may not survive up to 2 years because what motivates you is money and not the growth and success of your venture which should be your top priority. Don't get me wrong, when i say money should not be your first motive in starting a business. But, you need to know that short cut to success will always cut your green opportunities short. You first need to set up a good shock-absorber and pillar which can carry and sustain your business, and you must be able to dish out valuable products and services to your customers. If your customers are happy with your business then be rest assured that money will start flowing in and your business will grow into a big corporations. Alhaji Dangote started small with a big dream and today that small dream has become a house hold name in Africa. - What do i really want? - Why do i want to start a business? - What is my passion? - Am i ready face and handle the obstacles on the way? - What value do i want to give out? - Do i have the personality to run a business? These are few things you need to find out and provide answers to before you can say you want yo start a business. Entrepreneurs are risk takers, are ready to be your own boss? Whatever your decision may be, i want you to keep one thing in mind "Always dream big,think positive and have a proper plan"
Customers The King Of Business. In today's #SmallBizTalk, lets talk about the king of business. Venturing into a business is good and anybody can do that, but if you fail to negotiate with the decision makers ( customers ) them you are not ready. If you have true customers who are willing to buy your products and services then you are really in business. I do tell my clients on small business consulting that before you launch what ideas you have into the market,you need to first identify those that needs your services or products, what value will you add to their lives that will get them attracted to you and approve your business. Customers as the king of business are the ones to determine your stay in business, so find them and offer them the best and in-return you get extra-value (Money). In business, customers research takes long time and patience to find enough who are willing to talk. Market research consultancies would charge you high fees to the job for you, but as a new starterup with a clear vision of where you want your business to be with concrete plan, you would be better off doing it yourself, just spend more time and do some market research by yourself, ask questions, visit places, go the the environment and find out what your target audience want and are saying about similar businesses. * Who are my customers? Do they have that characteristics to fit into the type of customers that your product or services will benefit? * What are their buying style? What, how much, and how often do they buy? * Why do they buy? Are the reasons customers say they buy with same reasons why you say they? E.g some customers just buy label names and not prestige. Fined out why? * How much do they pay based on what the market is offering? Okay, how much will they be willing to pay for my products and services? * What do they like or dislike about the current products and services? Can i be able to fill this gap and provide them with what they like? Now, if you can judiciously give answers to these questions, you will be dinning with the kings of the market all the time without problem. Customers will be willing to stay online for numbers of hours just because you offer them the best. If no value is derived from from your products and services, your business will not go far. Your customers are the king of your business, so treat them well and give them good values if you you want extra-value. In business, if you develop an idea the next thing to do is to find out those that needs it. Pursue a Passion Not Money. Lots of people just want to go into business not because they have passion for what they want to do but because of the hype of entrepreneurs are millionaire. These set of people often end up crash landing within few months or a year of starting the business. Have a passion and you will surely make money but thinking of making money only, you will not. That is simple. If you want to be your own boss ,you must think of providing solution thereby creating big business empire and when your solution can solve the problem of your target audience money will flow into your account. Entrepreneurs are not driven by money , but the love of what they do. They create value to the benefit of others and in return they receive extra-value. Now ,think about this. If you don't genuinely enjoy or love what you are doing,how will you motivate yourself to keep on moving when the tide is high? The truth is any real entrepreneurs work based on their passion and can communicate it to their clients, the money will flow in without stress. Greed is not the same as passion, and if you don't have the passion and enthusiasm to run your business and deliver some unique ,you will run out of energy and will end up working for someone else. Whatever you choose to do in your business,make sure you can get excited about it. Pursue your dream with passion and success will come. 12 Inspiring & Successful Quotes for Small Business Entrepreneurs. Just started your small business? Need some inspiration? Here are 12 inspiring quotes to help you focus and grow your small business. Success means never to give up most of the time. There are time to quit, only when we are on the wrong direction. If there’s anything we know about small businesses, it’s that they are always focused on growth. lower payments.” – Evan Singer. So, as you chose to start your small business, we want to give you this powerful motivation to ignite your desire for success in your venture. Ok, i want you to read and re-read this motivational quotes again, let it sink down your subconscious mind. Let it help you reason and think success. Then match out their and do that thing. You will succeed. didn’t just use their strength to break the rope and escape the camp. They could easily have done so, but instead they didn’t try to at all. possible. Believing you can become successful is the most important step in actually achieving it. I like to share more inspiring articles and quotes with you, like my page at www.facebook.com/hopeuchemadu , pls READ and SHARE with your friends, help someone to succeed. Don't forget to leave a comment. Thank you. How Do I Turn My Ideas Into A Business? Last week about 46 youths asked me a vital question after my one hour intensive online (whatsapp) small business class Mr Hope " How do i turn my ideas into business"? Turning your ideas into a business can be a big step. You may be wondering where to get started and how to figure out all of the details. need to do in order to turn your ideas into a business, consider these 3 simple questions and answer them. Your answers will your business idea is within your answer. 3. What skills or knowledge do i have? Write down your answers and find out what else you need to know about your answers. starting a new business is to start it too big. Starting small can increase your chances of success. If you enjoy this article please like my facebook page www.facebook.com/hopeuchemadu to get more educative,informative and inspiring articles and quotes that will help you succeed in live and in your business. Please also share this post and help others succeed. Thanks. tough and demanding at times. doors up to customers each day? your business in your heart. life without a boss. Finding the path to success isn’t always easy and it requires the right combination of a great idea, dream,passion, determination and a bit of business acumen, a sprinkling of creativity and hard work. For those of you seeking a bit of inspiration to finally launch that idea you believe in, i am packaging a simple informative,educative and eazy to understand short report in ebook format to help,teach and inspire you to be your own boss within 2 weeks. Don't worry, you will be notified through this medium when the manual is finally ready. To help you start ,run and be successful in your own business. I will be hosting weekly BE YOUR OWN BOSS SUCCESS CLASS starting from next month MAY 2016. It's going to be informative,educative and inspirational with success stories, interviews, business ideas, plan and strategies etc. You cant afford to miss it, more information soon. Till then, keep on pushing to achieve success. A simple definition that comes to mind when it comes to entrepreneur is someone who is a risk taker. The definition of entrepreneur can’t be completed without identifying the key qualities that is seen in any true entrepreneur or whoever wants to become one. The skills aren’t the main difference between an ordinary person and an entrepreneur, there are qualities and traits involved too. gladly pay for the right solution for his struggles in life. That’s when business and integrity go hand in hand. something out of nothing and explain to people why they need to buy it,this is known as their unique selling proposition ( USP). their goals in their mind, before they pursue them in real life. They dream big, aim high and get fantastic results. beginning. Many people quit after a failure or a few. Others, stay around a bit longer but eventually lose hope, have invested too much in all this but don’t see it going anywhere, or lose confidence in their abilities. That’s why the top is never crowded but the bottom do. So, if you want to be an entrepreneur. You must have a strong spirit to continue pushing forward. relationships, thinking of new ways to do things and finding new solutions to existing problems. Entrepreneurs are opportunists. The average person, however, doesn’t keep his eyes open so that when opportunities come he can grab them and make the most of them. Instead, he blames life for not giving him enough chances. But, Entrepreneurs always keep their eyes wide open for any opportunity. rewards, praise, satisfaction in life and happiness. users/clients to ask for feedback, making friends in your field, seeking guidance from those who are ahead of you in the same line. with people in person, you’ll get interviewed and go to special events. But it’s about people. themselves out there even if it means knocking on a few doors in your neighborhood asking people whether your potential product is something they will need. We are in the era of social media, so go out their and take advantage of all these platforms and get your business up in the sky. Be a risk taker, a solution provider,create and add value to peoples lives and you will get double in return. Believe In Yourself. Be a Winner. You will achieve success this week. It is only a loser that always say " I will believe it when i see" when you hear somebody making this statement, that means he/she is already planning to fail. He/she has no clear vision of the future to achieve purpose in life and live happily. But, successful people always have the believe that success is certain. They proclaim " I will believe it without seeing it, because i know all things are possible." With these strong affirmation, they are determined to pursue their passion with strong burning desire to succeed in whatever they are doing. If you have a dream, you must believe in your dream, you must believe in yourself, you must see yourself achieving your heart desire. You will not allow self limitation to set in your way. You need to surround yourself with successful people. If where you are is not comfortable to agree with your success, change your position and move out of your comfort zone. The first step in achieving the impossible is refusing to believe that anything is impossible and that is where faith comes in. Your faith must be strong enough to move mountains of obstacles. Faith is believing without proof. Do you want to write your promotional exam? Have faith that you are already promoted. Do you want embark on a project? Have faith that it is already done. Do you want to start a business? Have faith that it will be successful. Do you want to go into marriage? Have faith that your marriage will be successful and fruitful. Always aim high. Don't settle for less, you are not a failure. Map out plans to be a WINNER. take responsibility for your actions. Don't blame fate for failures or credit luck for success. Think positive and act smartly. Be who you want to be and live a fulfilled life. Hello friends, i am tired of receiving phones calls from friends asking me the secrete behind how i am making my residual income working part-time every day. 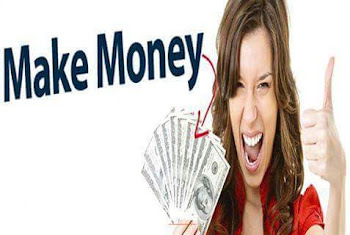 Finally,i am ready to reveal the secrete to everybody on how you too can start to make money direct to your bank account working part time or full time. All you need is determination and focus to succeed in this business. The company is worth more than a billion dollar in the network marketing industry. The best thing for you is to join now and start to make money weekly and monthly leveraging on the power of our strong team here in Nigeria. The company just opened opportunity for new motivated business individuals to join the company with a one time investment of $85.95 / N19400 and you will be on your way to financial freedom for live plus lots of mouth watering benefits. 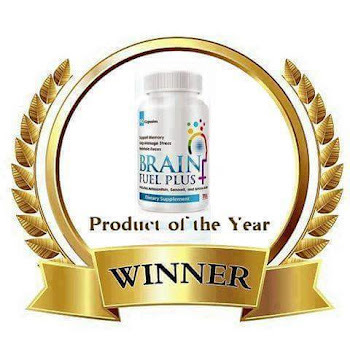 The business of wellness is a big money spinning business that is why the company is the first and only company with the only complete BRAIN NUTRITION product on the planet so powerful and it helps the students on reading and understanding, this is a blend of natural ingredients no chemicals. MEMORY LOSS,ANXIETY,DEPRESSION,STRESS,ARTHRITIS PAIN, ASTHMA, STROKE,HIGH BLOOD PRESSURE, DIABETES 1&2, LOW SPERM COUNTS, PARKINSON DISEASE, ALZLIMERS DISEASE AND EPLEPSY. "Commitment leads to action and ACTION brings your dreams closer"
Now, are you ready step out and take ACTION that will change your financial status? Whatsap,call Mr Hope Uchemadu on +2348031541827 or inbox me to give you more details on how to join. According to the Stanford Brain Institute the average person uses only 2% of his potential. This means that the quality of life we have today is a result of these 2%. And the rest is just wasted. watching TV, eating junk food in front of it, staying in front of the computer after that and so on. And if you look at the bigger picture the average person doesn’t do any significant activity or one that requires high mental performance. He literally lives on autopilot, does what he’s instructed and doesn’t even have to take decisions. and remarkable people these days, and in our history, have done it – they just found ways to unleash their potential and powers and use them to level up in life, create amazing things and become someone to look up to. These are things we’ve all heard of, but how many of us actually practice them every day? The truth is that until we stop considering huge success and building the ideal lifestyle something impossible that we don’t deserve and are not good enough to achieve, we won’t have it. our journey to leading a legendary life. The next thing is that we can’t define it. The simple act of becoming aware of our own abilities and powers can help us move forward and actually do something about it. And it always helps to have support and people close to you who believe in you, but in the end it’s all up to you whether you’ll be confident enough and try again and again until you succeed. learn new skills better and faster, to have great relationships, to maximize your productivity, start a new business and succeed, to have control over your habits and develop only healthy ones, to eliminate stress and be able to solve any problem, to be focused all the time on the things that are important and to be able to enjoy life at the same time. That would be great. And it is possible. It requires hard work, dedication, sacrifices and strong mindset, but many people have gone there and so can you. So start working on your ideal lifestyle now and stay true to what you believe in. Soon you will see small changes going on, then come small but significant achievements. And after a while you’ll be able to see how you’re starting to get closer to the things you’ve always wanted. 7 Steps To Become An Internet Entrepreneur. a bit stubborn, you have what it takes. experienced, successful, and friendly team support? others who have succeeded where you are treading for the first time, should all be available to you. You should never feel that you're all alone. 4. Infrastructure: Decide what you need: computer,printer, fax, phone; whatever your chosen business requires. Create an office space that suits your lifestyle and work needs. may require a separate room. Don't put your office in the bedroom if you work evenings and your spouse goes to bed early. You need your family's support, not their animosity! dollars a week and so can you. None of them will point out that maybe you will be one of thousands who quit before they make a cent. "Put money in your pocket today!" Yes, but will any go in tomorrow? Accept the fact that any business worth its salt can take time. Maybe you can begin making money in a couple months, or maybe a year. You have to be able to maintain life as you know it for however long it takes. Understand that it won't be a steady climb to the top from where you are today; the path will go up and down. information, but at some point will come the knowledge that you're "getting it." Working for a good company will leave you knowing that you have what it takes to do it on your own, if you choose. include contingency plans, and is never written in stone. As you learn and your business develops, the plan will evolve too. Now that you've got the road map...i strongly advice you to take that first step! Your future begins today! Please share this article and lets read your comments. Five Top Secretes You Should Know Before Starting Your Business. Starting your own business is the key to financial success but without a proper plan and knowing what and what that is needed for you to start,run and grow your small business success. The nature of business has changed over the years, and the idea of going out alone is much more prevalent. With this shift in mindset , it seems as if people tend to paint a fairly rosy picture of entrepreneurship . may not tell you about. With this in mind , here are important five secretes you need to know before starting any business of your choice. 1. More Money Will Be Needed Than You Think. will be made , and unforeseen problems will arise. That is why it will cost you more than you think, for probably longer than you anticipate. 2. Start With Social Media. as you know what that name is . Get a good -looking website up and running before you have your grand physical opening . You can have yourself recorded with your smart phone talking about your product and services and post on all social media. Write articles and post e -newsletter. People today will find you as much online as they will offline , maybe more so , so your online offering has to be top -notch. You really do not get a second chance to make a great first impression . 3. Your Skill Will Be Heavily Relied Upon. old tried and true things will be as well. 4. You Need To Attract Customers To Your Business. need to let people know you are there , so before you ever open the doors to your new business, you better have a great plan in place . Facebook , and LinkedIn ? That's two. Marketing and PR is three . FB ad is four and distributing flyers is five. I suggest you come up with at least five different ways to bring in customers before you begin or open door for business. Patience, Success Is Not Magic. built in a day but one thing is certain and that is determination and focus leads to success. So creating that new enterprise takes faith and perseverance . Keep at it every day. Follow your plan. It almost always pays off , especially if you were ready right from the start . Always think positive,dream big and pursue your goals and dream with passion. Do you want to start, grow and run a successful business? Contact us by using the contact page or send us email. Please share this article on your social media page. Your comments are welcomed. Key Qualities Of a True Charismatic Leader. Here is some key points on how to to become the kind of person everyone admires and looks up to. perform at equally exceptional levels. influence in the minds and hearts of their co-workers and superiors, and they are spoken about in the most positive way. overlooked, while their strong points are emphasized. They become charismatic. the specific things that develop within them a powerful, charismatic personality. committed to achieving something worthwhile. They radiate charisma. standards and then disciplining themselves to live consistently within the highest principles. They become the kind of person who is admired and respected everywhere. They become the kind of person who radiates charisma to others. up to. That’s what charisma is all about. Please share this article on your social media wall and leave a comment here,thanks.